A prolific producer of 'snack sized' fruits, typically up to 10cm in length and weighing up to 100 grams. 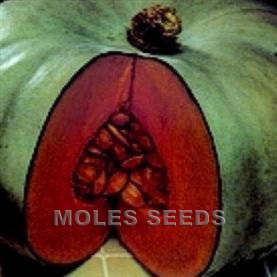 The fruits have a smooth skin, with excellent flavour and texture. Most productinve when used for heated indoor production but can also be used for outdoor production during the summer. Ideal for containers; a good plants sales item. Parthenocarpic. A productive greenhouse crop with a well established sales history, and has the potential to offer high returns. 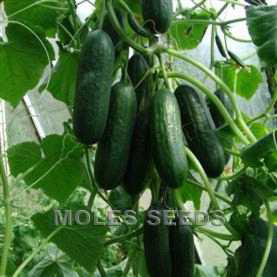 Cucumbers are also very popular for young plant sales. 35 seeds per gram. 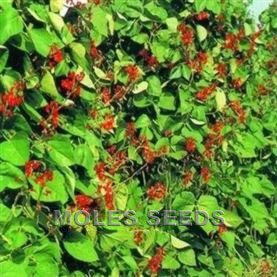 Sow December-April depending upon cropping type. Germination requires a minimum of 20°C.